A great deal of today's music looks to the '80s for inspiration. Welcome back to the era of the Walkman, Sixties reunion tours, and a lot of synth-pop, hip-hop, and heavy metal that revolutionized music forever. Features veteran artists like Diana Ross, Christopher Cross, Eagles, Tom Petty & The Heartbreakers, and Stevie Wonder. 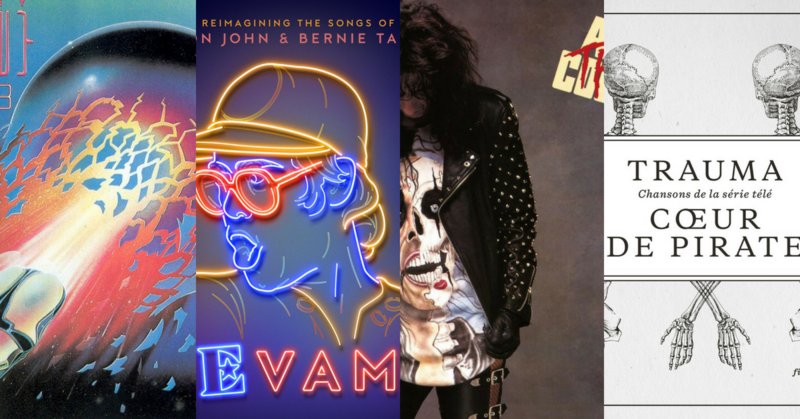 A great deal of today's music looks to the '80s for inspiration. Welcome back to the era of the Walkman, Sixties reunion tours, and a lot of synth pop, hip-hop, and heavy metal that revolutionized music forever. Features veteran artists like Paul McCartney, Stevie Nicks, The Go-Go’s, Toto, Journey, and Fleetwood Mac. A great deal of today's music looks to the '80s for inspiration. Welcome back to the era of the Walkman, Sixties reunion tours, and a lot of synth pop, hip-hop, and heavy metal that revolutionized music forever. Features veteran artists like Gloria Estefan, Paula Abdul, R.E.M., New Kids On The Block, The B-52’s, and The Cure. Sometimes the best way to spread a love of music is to reinterpret a beloved piece for a new audience. Even when a songwriter finds some success on their own, cover songs will still creep their way into recordings and performances. From Ed Sheeran to Alessia Cara, and The Who, here are iconic artists covering an iconic artist. Sometimes the best way to spread a love of music is to reinterpret a beloved piece for a new audience. Even when a songwriter finds some success on their own, cover songs will still creep their way into recordings and performances. From Elton John to Britney Spears, and U2, here are iconic artists covering an iconic band. To all you '80s lovers: check out our related channels section!